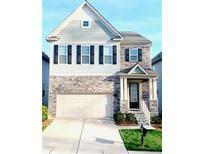 Below you can view all the condos for sale in the Park South Station subdivision located in Charlotte North Carolina. Listings in Park South Station are updated daily from data we receive from the Charlotte multiple listing service. To learn more about any of these condos or to receive custom notifications when a new property is listed for sale in Park South Station, give us a call at 704 604 8836. Two additional bedrooms with a full bath make this an ideal home for your family. MLS#3497682. Listwithfreedom.com Inc.
Book holder in nursery does not convey. MLS#3492953. Keller Williams Fort Mill. The community features are fantastic with a huge clubhouse, workout facility, pool, access to greenway, dog park, and close proximity to all the restaurants and retail that Southpark offers. MLS#3492164. Keller Williams South Park. You are going to love this house. MLS#3492837. Carolina Realty Solutions. 5 mins to shopping, dining, & all Southpark has to offer! MLS#3494448. ProStead Realty. You Can Have A 3 Year Tax Credit Through The City MLS#3493551. Giving Tree Realty. Come check it out APRIL 6, 2019 1:00-3:00pm OPEN HOUSE before it become active on April 8, 2019 https://www.youtube.com/watch?v=zLG4LP0uWWo MLS#3492676. Sio Lai Cheong. easy commute to Center City or i485 and the airport. MLS#3493272. Savvy + Co Real Estate. Don't miss the chance to live within 5 mins to all the upscale shopping, refined dining, & quaint wine bars Southpark has to offer! MLS#3487661. Ivester Jackson Distinctive Properties. Spacious secondary bedrms, loft, & large laundry Room upstairs. MLS#3489021. Allen Tate Providence @485. Live 5 mins to all the fine dining, sophisticated shopping & quaint wine bars Southpark has to offer! MLS#3487874. Ivester Jackson Distinctive Properties. Finished garage with epoxy floor and baseboards. Stylish decor and impeccable condition! MLS#3484768. Keller Williams South Park. In addition to a great location...this home boasts the low maintenance of a condo (water included in HOA) with the neighborhood features of Park South Station's clubhouse, pool and fitness center. MLS#3482910. Redfin Corporation. Amenities include clubhouse, fitness center, pool and dog park. Quick access to the greenway. MLS#3483179. Carolina Realty Solutions. Move in ready and available for a quick close! MLS#3484936. RE/MAX Executive. Not only is this location just minutes from South Park Mall & Park Road Shopping Center, but also has direct walking trail to Little Sugar Creek Greenway. MLS#3483627. Berkshire Hathaway HomeServices Carolinas Realty. This home is move-in ready and the location is perfect being close to South Blvd Archdale light rail station and 5 mins to Southpark shopping and restaurants. MLS#3483990. Berkshire Hathaway HomeServices Carolinas Realty. Minutes from center city. Great community amenities. MLS#3482790. Dane Warren Real Estate. Centrally located to everything in Charlotte! MLS#3474320. Keller Williams South Park. 2 Car Garage--A one of a kind! MLS#3473943. Keller Williams South Park. Meticulously maintained home with Master on the main floor ~ Upgraded finishes ~ Gated community ~ Brick Front townhome ~ Private back yard/patio ~ Wood floors throughout main level ~ Open Dining room area with kitchen passthrough ~ Upgraded kitchen with large eat in breakfast area ~ Granite countertops and stainless/black appliances ~ Partially fenced ~ Owner's suite with walk in closet, soaking tub, walk in shower, water closet and double vanity ~ Loft / Rec area + 2 generous bedrooms upstairs ~ attached, oversize garage ~ Laundry on the main level ~ Gas log fireplace in Living room ~ High end, Whole house filtration system ~ Community has a pool, fitness center and club house so you can ditch your gym membership ~ Minutes from the light rail and a very easy commute Uptown or South Charlotte ~ Enjoy all the amenities in Southpark right at your fingertips ~ Best priced home in Park South Station ~ Call today! MLS#3475581. Coldwell Banker Residential Brokerage. Complex has direct access to South Park's new greenway and is minutes to Arrowood, Sharon Road W, and I-485 lightrail stations and all the amenities offered in South Park: shopping, dining and entertainment. MLS#3475180. Coldwell Banker Residential Brokerage. If space, style, and convenience is what you are looking for, this move-in-ready unit is perfect for you! MLS#3474632. Nestlewood Realty, LLC. *** $3000 design credit with accepted offer by 2/28. *** This is a must see! ! MLS#3472065. The McDevitt Agency. Don't miss the chance to live within 5 mins to all the upscale shopping, refined dining, & quaint wine bars Southpark has to offer. MLS#3470536. I Save Realty.